In principle, what you should know about Coworking Valencia is that you share a space with other professionals. This cooperation saves you expenses in services and you only have to pay a daily, weekly or monthly fee to enjoy the advantages of this experience. As a general rule, everyone uses their equipment or devices, food is something communal and you are not obligated to share with others. You can visualize it as a company without departments where you do your thing, socialize and have the opportunity to find other opportunities to grow. When you opt for Coworking Valencia , you can get a position for 75 to 400 euros per month, prices per hour, per day, weekly or monthly. Some sites give you a free trial, others have a minimum stay contract and can be in a terrace, apartment or warehouse. Unlike other environments, in this you can create your own space without having barriers or bother someone else. This can help you be more productive because no one will disturb you or interfere with your routine. This modality offers you versatility and flexibility depending on what you need. You can work once a week, stay for a month, choose the plan that suits you best and the environment that you like. The managers are these initiatives try to generate more opportunities for coworkers. This implies more relationships with other clients, better contact networks and events to promote the exchange. Depending on your interest or skills, there are different models available for your technological, digital or technical knowledge. You can choose between spaces with didactic inclination, start up or pop up type, for “makers”, inbred, of specific areas or that carry out events. Take a look with confidence because surely one of them can become that different place that can offer you what you need. It is becoming more and more common to hear the expression coworking, especially in the work environment of Valencia. This is due to the fact that the independent job offers have been in an impressive growth, leaving aside the traditional way of working monotonously in the same office for years, assuming constant expenses that often translate into losses . Before continuing: Do you know exactly what this method of work is about? This consists of the sharing of offices, in which it is possible to carry out tasks as a professional, as independent and even as owner of an SME. In the same way, the objective of these spaces is to promote the relations between its users, in order to create and consolidate business opportunities that benefit all the parties involved. Although there are spaces that fulfil this function, coworking in Valencia has a distinctive feature: the so-called managers. These people are responsible for moving the threads within the shared office, to generate spaces and situations that lead to a rapport of the members of the same, thus achieving a climate of trust and collaboration optimal. 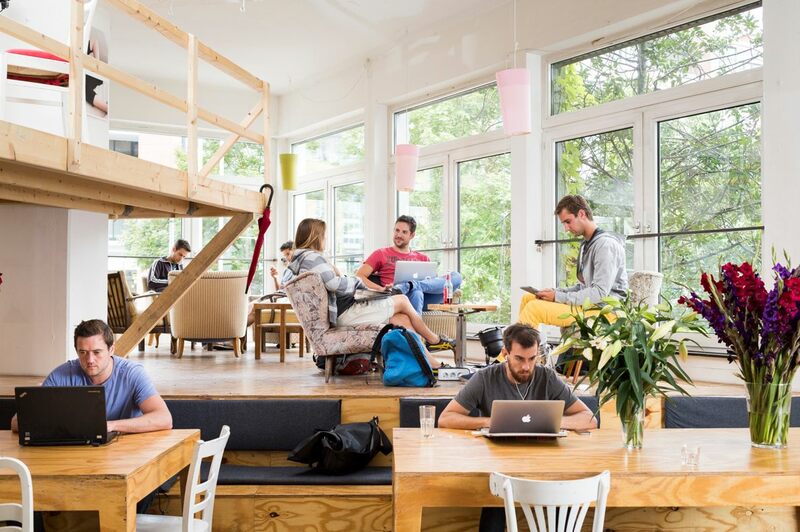 What are the advantages of co-working? This is an aspect especially valued by the independent workers, who get rid of the responsibility of renting an expensive office in some important locality of Valencia. You can usually cancel a daily, weekly or monthly fee, it all depends on your needs and your working group. Thanks to the fact that these shared spaces open the possibility to answer questions, consult opinions and even share projects. 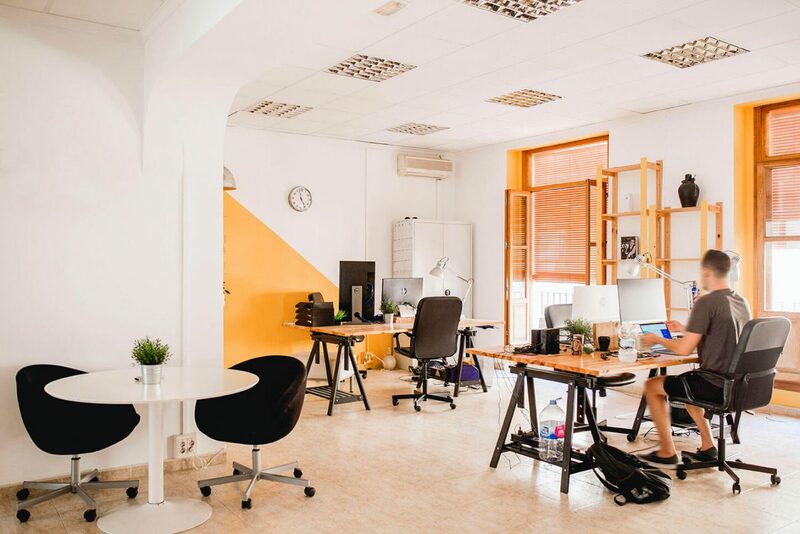 There are cases of success of coworking in Valencia, in which the members of an office have merged their ideas to gain access to much larger and important customers. That’s right, many offices provide members with essential material for business development, such as audiovisual presentation equipment, photocopiers or paper shredders. In addition, in these spaces you can carry out professional growth activities such as workshops or seminars, whether you organize them or attend as a guest. No matter how you drive your career, it is always vital to have a wide, efficient and concrete network of contacts. With the use of coworking this network can be considerably optimized, through the establishment of professional and social relations with other participants, who in turn can put you in contact with other people that boost your ideas, companies or Projects. Valencia is a city full of opportunities for entrepreneurs, but sometimes it can be difficult to access them. This situation is easily surpassed by the use of cooperative offices, since they allow you to enter the market of independent jobs unbeatable, taking advice from members who know the innovations and trends in the industry in which you are involved. What should be taken into account in order to find a co-working in Valencia? Try to get one near your place of residence, so that you do not feel forced to spend too much on fares. After you have a list of options, check the opinions and comments of other users, so you will get an idea of ​​the work environment. Now it only remains to try, try and decide if it is what you are looking for your next work stage, only you can tell if the working conditions are ideal or not to develop your projects. You have an idea, you have a work plan and you probably even have your first customers knocking on the door interested in the project you are going to develop. But, where do you intend to serve them with the professionalism they deserve? The place where your ideas are developed is also important for the evolution of a business, but the entrepreneur does not always have the necessary resources to cover what is undoubtedly one of the biggest expenses in his development plan: renting some offices. Coworking is presented as the perfect solution to this type of problem. Ideas grouped in the same workspace in which office and equipment are shared, dividing maintenance costs. 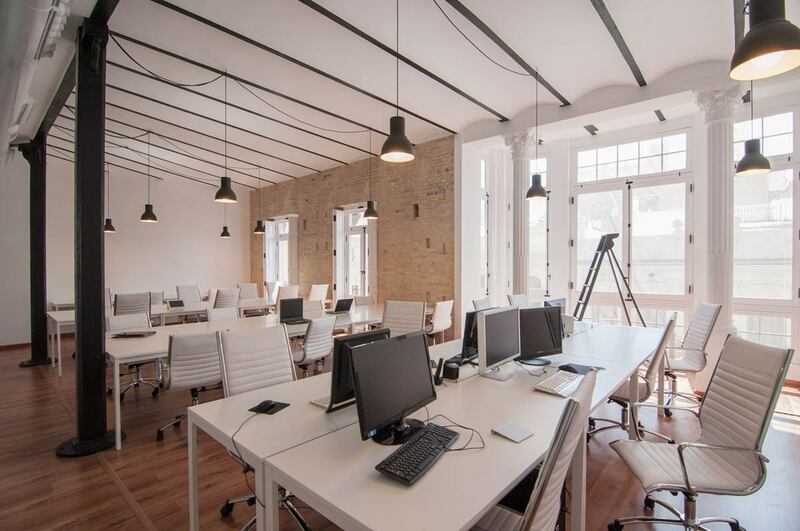 Why resort to Coworking Valencia? This original work practice that originated among freelance professionals in the United States did not take long to reach Europe. This has not only changed the concept of office rental but also the way in which professionals develop their ideas. In this sense, the geographical factor is decisive. In a coworking space like this they share more than the expenses of rent and supplies. Despite the fact that these are independent start-ups with each other and sometimes belonging to different business sectors, the truth is that there is a special atmosphere here. Due to its location, its tradition and the creative atmosphere that is breathed, Valencia is presented as a perfect alternative to start a business idea in one of these spaces. Charming buildings decorated in a modern way that will not only save you money but also improve your areas of influence to keep progressing. Choose Coworking Valenciaand take advantage of all the advantages of this work practice in a city that has it all. Good weather, good gastronomy and a lot of cultural movement. It is a city that sets trends and this is reflected in the boom of startups and freelance projects that have been developing over the last decade. This has allowed the city to be at the forefront in the design of spaces for this type of work communities. Here the entrepreneur is freed from the constraints of a rental contract and supplies and benefits from a much more flexible ownership concept and a work environment that inspires innovation, creativity and success.